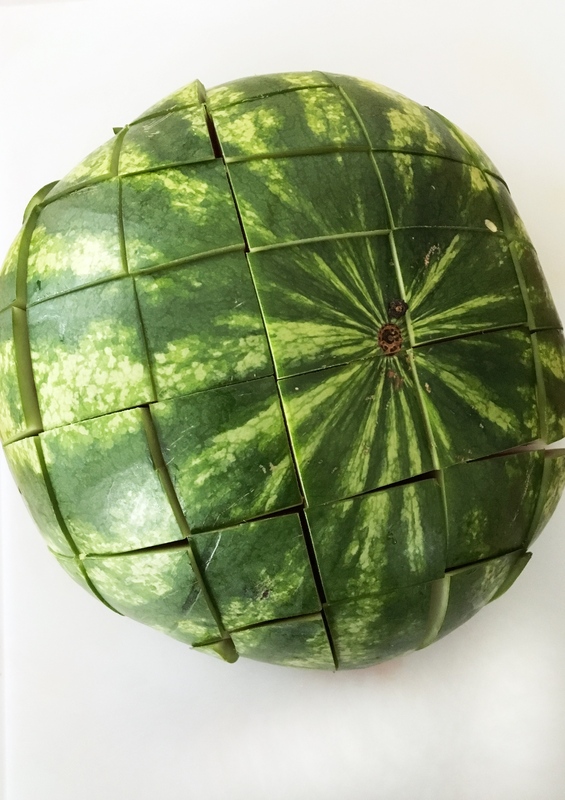 Cut the watermelon in half cross-wise. 2. 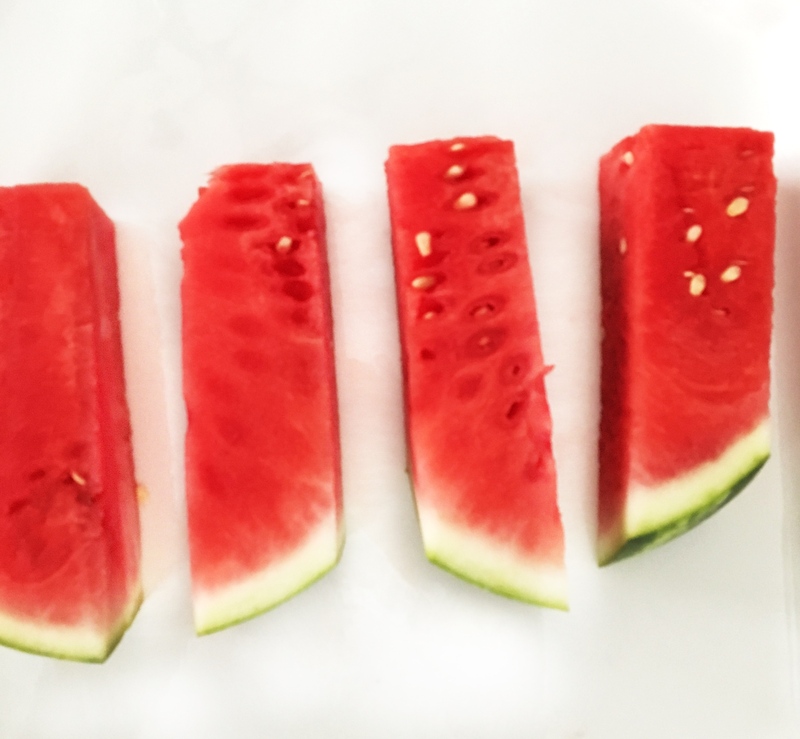 Turn the watermelon cut side down on a cutting board and make one-inch slices across it. 3. Next, make one-inch slices across the watermelon in the other direction. 5. 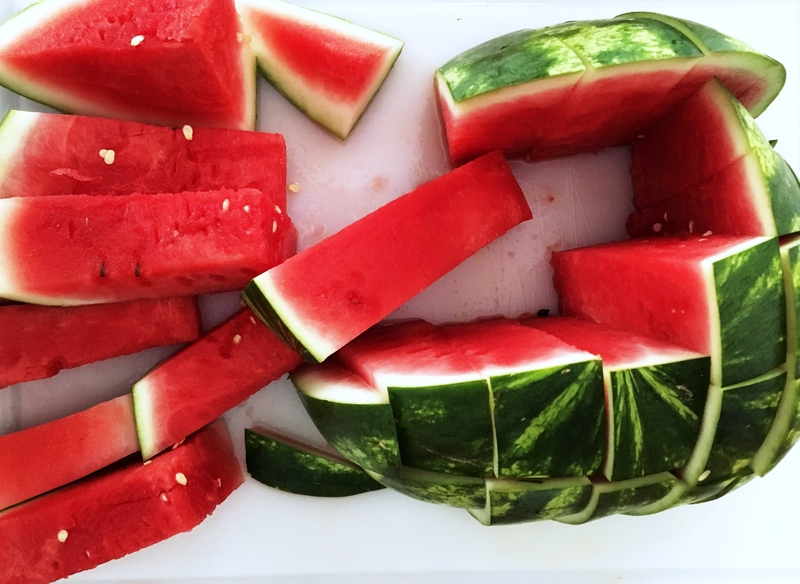 This is a great way to serve watermelon. It’s easy to eat in these long, narrow pieces, and you have something to hold on to. 6. 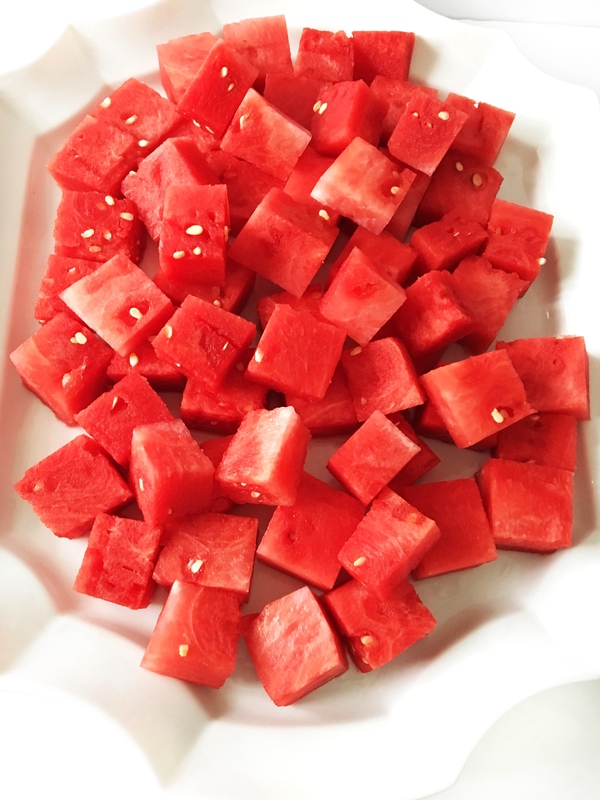 If you’d like chunks, go ahead and slice the bottom off each piece and cut into one-inch cubes.